How to become a 1940’s fashion model. A rarely seen movie short called The Perfect Powers Girl by Minoco Productions. Three names in the 1940’s dominated the fashion model business. John Robert Powers, Harry Conover, and after the war, former Powers girl and Conover model Eileen Ford. The booming fashion business in the 1920’s and 1930’s, provided the John Powers Modeling Agency agency, formed in 1923, with many lucrative deals from magazines and advertising agencies. It is believed to be the first ever modeling agency. Many of the models seen in adverts and clothing catalogs like Sears, at the time, were often Powers Girls. The film How to be a 1940’s Fashion Model was a “Soundie” promo for a B movie called The Powers Girl 1943, starring Carole Landis and Anne Shirley as two aspiring models. The original title for this short musical fashion piece was The Perfect Powers Girl. Soundies, were 16mm musical films played in movie theaters, and on coin operated jukeboxes called Scopitones, which were found in bars and restaurants. As Television became more widely available at home, their novelty wore off by the end of the 1940’s. Mr Powers intones “To find these dainty models, I looked far and wide, each one is the perfect Powers Girl !”. He goes on to introduce the girls as ‘types’. Excerpts from How to be a 1940’s Fashion Model. It bares a remarkable resemblance in construction to the Beautiful Girl sequence from Singin’ in the Rain, itself a wry and comical pastiche of 1920’s fashion. Perhaps this is where Stanley Donen and Gene Kelly got the idea! In 1941, his book The Powers Girls was somewhat of a hit, republished several times that year. Some previous “Powers girls” featured in this book were prominent models for Vogue Magazine and Harper’s Bazaar. Muriel Maxwell, Elizabeth Gibbons, Betty McLauchlen and Helen Bennett are the most notable. . Photographed by leading fashion photographers like Horst P. Horst and Louise Dahl-Wolfe. Singer Georgia Carroll was also a Powers Girl, and the agency’s biggest star that year. Signed later by Warner Studios, she actually left modelling and took up singing with Kay Kyser’s Big Band. The book is very much a behind the scenes look at what it took to become a fashion model in the 1940’s. John Robert Powers believed in manifesting the “Natural Girl” in his models. 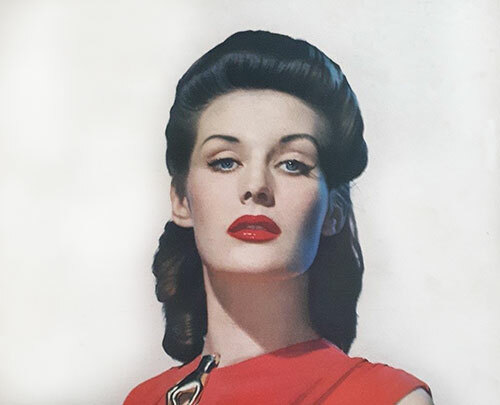 The Powers models were perfect for the new booming WW2 era fashion industry. Paris lost it’s supremacy in the fashion world under German occupation. 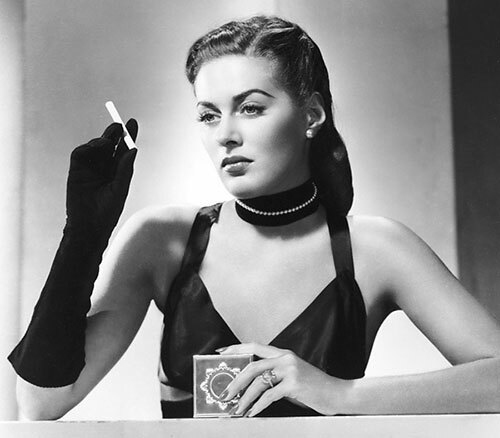 The American Look of the 1940’s, very much defined by the Powers Girls, reigned supreme.